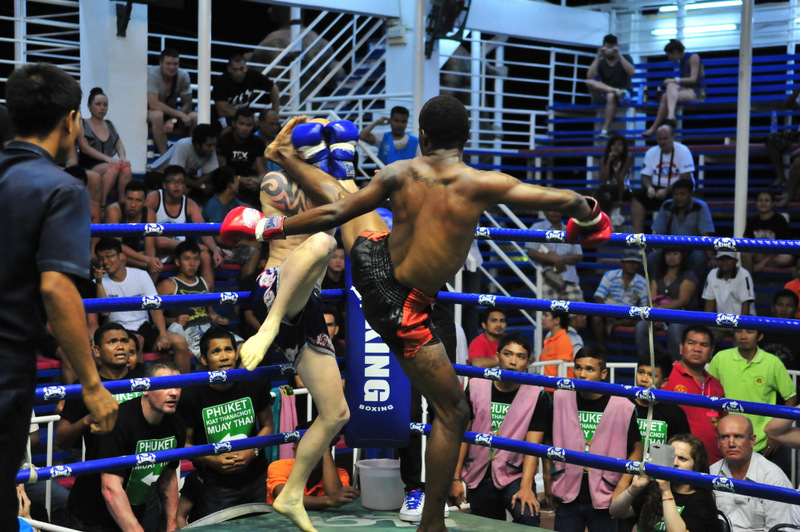 There was no envy for fighters battling against Tiger Muay Thai and MMA Training Camp Phuket, Thailand athletes on Wednesday night (Oct. 10th). The camp went a perfect 3-0 at Bangla Boxing Stadium with Marcel Gaines, Malik Watson, and Emma Eliasson all coming away with victories. 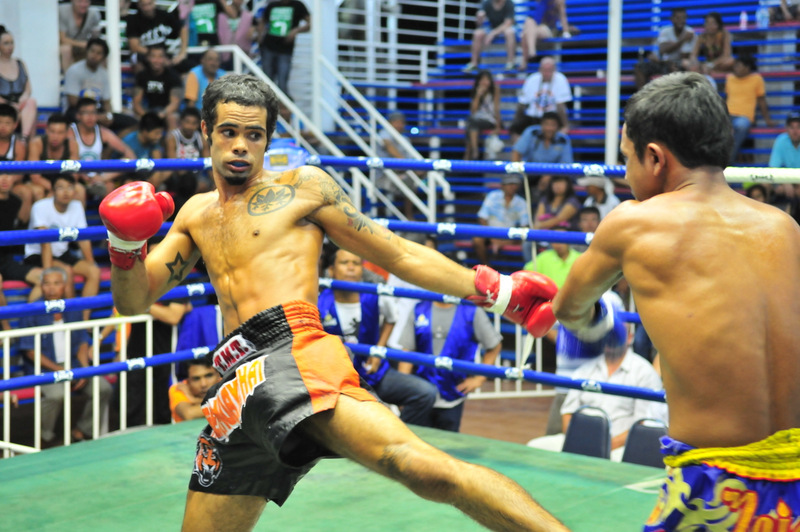 Watson, who recently turned 20 years-old, now has a professional Muay Thai record of 10-3. The Chicago native defeated Bentley Saefford, a 24 year-old Australian, with a devastating left head kick at the end of the first round. Though the Aussie seemed to have blocked, the kick wrapped around Saefford’s the back of his head which dropped him to the ground. The win was impressive in that Watson barely threw any punches and relied mostly on kicks, which seemed to have fazed the Saefford. He had the Aussie on the ropes for most of the fight before stepping in with the high kick. Meanwhile, Gaines improved his record to a perfect 5-0 as he finished off his 18 year-old opponent Veerasak, a veteran of over 60 fights, in round three. Gaines, from Capetown, South Africa, went blow-for-blow for much of the first two rounds. The 28 year-old’s punch combinations, coupled with swift low kicks, forced Veerasak to the ground twice in the first and once in the second. Gaines was a little less successful in the clinch, until a strong right knee to the body forced Veerasak to rethink his gameplan. The young Thai was down for the count after a quick punch and knee combination that followed. In just her third professional Muay Thai fight, Swedish fighter Emma Eliasson went the distance against Thai opponent Rungtiwa, a veteran of over 20 fights. Eliasson pushed the pace the entire fight, forcing Rungtiwa to avoid serious engagement until the Swede stepped in to land her strong jabs. The fourth round saw Eliasson take control of the fight with a succession of punch combinations that pushed Rungtiwa to the corner of the ring. The combination ended with a devastating knee that fazed Rungtiwa, as she grimaced in pain. the last round saw the Thai running away from serious engagement with Eliasson, who won the fight after a unanimous decision.